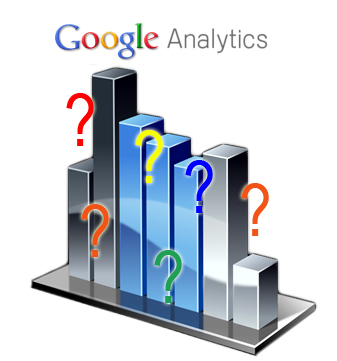 In the SEO industry, Google Analytics is a touchy subject. So, for those in the industry who feel the need to yell and rant because I’m adding “Google” to the title, yell on, while I talk to the target audience. Because, you see, GA is a free analytics platform (yes, I know, it has a paid version). Thus, it’s widely used by many business owners small and large. As well, tons of SEO tools incorporate with Google Analytics, such as Raven Tools – a product I’m testing now. While you can use the analytics program offered with most web hosting platforms, many find it hard to read the raw data. Thus, GA – nuff’ said. How do you use Google Analytics, though? How accurate is it? What can it tell you? Well, GA can give you tons of useful information. The information isn’t completely accurate, but it’s accurate enough to pinpoint what pages need help in terms of conversions. It can help you find out what types of referrals bring you the most bangs for your buck (which also helps you develop a more targeted link building campaign). It’s not the Holy Grail of site statistics and SEO, but it’ll definitely do in a pinch. What key terms are bringing people to the site? Does the content keep them looking around the site? Now, keep in mind these are simple metrics; this is not an advanced Google Analytics course, merely an overview. You can click on the image for a larger view. I did skew the report to show no bounce rate, but our bounce rate is our business :). Quiz Question: Which column is least important? I’ll tell you the answer in a minute. Let’s pretend that the site is new and these are the only key term hits we’ve received. Now, we have reason to be happy, because we’re starting to show up for relevant key terms: relevant to our site and our business. For instance, “SEO my site” and “reputation SEO” are good ones. So let’s say we’re looking at a site and not a blog. I’m going to break down what we’re looking at and how we begin choosing what to test/tweak. For this month, we had three brand new visitors land on a relevant page for the term. This is good. However, we need to know if they found the information they wanted there. The statistics of 10 seconds says we didn’t grab their interest enough. They stayed to scan the information, but didn’t find it interesting enough to look around the site. Because of the search term, we can “almost” assume they were looking for enough information to do it themselves. Although these visitors might convert, it’s not likely. We have the same statistics. The difference here is that the possibility of conversion is more likely. In other words, they may be looking for someone to provide SEO, rather than information on how to do it themselves. Because they only scanned and didn’t look further into the site, we can safely assume we didn’t grab their attention enough. At some point in the game, we missed the ball on conversion. So, I’m going to set that aside as a page to analyze, tweak and test. This is excellent, or could be. Four new people used these phrases to find us and landed on an appropriate page. They didn’t just scan; they looked around at other pages on the site. Did they convert? They could have. I’ll put these aside also, to get more information. Of the two visitors from this key term, one was new, one returned. Neither went further on the site, but they stayed awhile. What do we learn from this? They found the information they wanted. Period. They weren’t looking for anything else. However, I’m still going to look at the page. It’s getting traffic from several search terms, and may or may not be getting conversions. I need to know what’s going on with that page and how I can better convert those visitors. Quiz Answer: Bounce Rate is the least important metric. Why? The bounce rate says, “this visitor came, went and didn’t stay long enough to really look at anything.” Seems like it’d be extremely important, right? However, here is one of Google Analytics’ faults. Google has an insanely high amount of time someone has to stay on a page for it not to count as a bounce. How long does it take you to scan a page for information and grab a number? 10 secs? 15 secs? In other words, the bounce rate is just a number that, while somewhat useful, isn’t one you should put a lot of emphasis on. 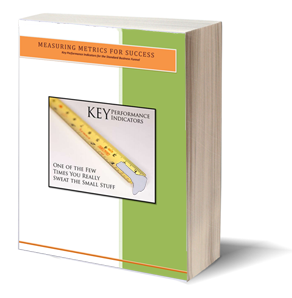 I had planned to delve into several metrics, but you’d have a book to read. I hope this information has given you the beginnings of how to use Google Analytics for better SEO and conversions. As we move forward over the next couple of months, Level343 and the Article Archive will be focusing on putting out more helpful, informational articles. If you have questions you’d like to see answered in an article, please feel free to drop one in the comments.